If you are seeking Los Angeles eye care experts, Dr. Rex Hamilton at the Santa Monica Eye Medical Group is happy to provide an expert diagnosis of a variety of eye conditions. We offer various refractive treatment options designed to help you see better and to correct visual errors. Refractive surgery is an ophthalmic specialty devoted to correcting refractive errors including myopia (nearsightedness), hyperopia (farsightedness), regular and irregular astigmatism and presbyopia. Dr. Rex Hamilton provides a number of advanced eye care procedures including LASIK and cataract surgery to treat these conditions. To understand how refractive procedures work, it is important to understand how eyes with refractive errors differ from the emmetropic or “normal” eye. To learn more about eye conditions that may be treated by our eye surgeons with LASIK, cataract surgery and other eye care procedures in Los Angeles, click on the appropriate entry. Emmetropia describes the ideal state of the eye without refractive error. Eyes without refractive error are able to see crisp, clean images because the cornea properly reflects light onto the retina without distorting the image. Myopia, more commonly referred to as nearsightedness, describes individuals who are able to see near objects with clarity, but not distant objects. Myopia is most commonly caused by a steep curve of the eye’s surface (cornea) or the eye having a longer-than-normal shape, meaning the distance from the cornea to the retina is further than normal. This can cause images to be focused in front of the retina as opposed to directly on the retina, which can cause blurred vision. There are multiple procedures available to correct myopia and restore distance vision. Myopia-correcting procedures performed by Dr. Hamilton include LASIK eye surgery, PRK, SMILE eye surgery, and presbyopia-correcting IOLs. Hyperopia, which is also known as farsightedness, describes a condition where an individual can see at a distance more clearly than they are able to see nearby objects. Hyperopia is typically present in individuals with smaller-than-normal eyes, causing light rays from near objects not to focus properly on the retina, resulting in blurry vision. Hyperopia-correcting procedures performed by Dr. Hamilton include LASIK, PRK, and presbyopia-correcting IOLs. Astigmatism describes when both near and distant objects appear blurry, caused by a steep, uneven curvature of the eye. This curvature prevents light from focusing on a single point on the retina, blurring vision. LASIK, PRK, SMILE eye surgery, and Astigmatic Keratotomy (AK) are all procedures that can help to correct astigmatism and restore clear vision. Presbyopia is a common eye condition that occurs as a normal part of the aging process, commonly in adults aged forty and over. Presbyopia occurs when the lens of the eye loses flexibility, making it more difficult to adjust focus on near objects. Presbyopia can be corrected with presbyopia-correcting IOLs. Cataracts are another ocular condition that occurs naturally with age. 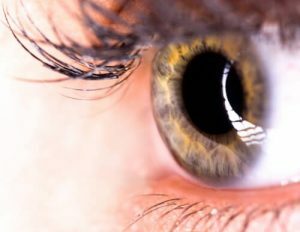 Over time, the eye develops cataracts, which can slowly cause cloudiness and opacification in the eye, interfering with the passage of light onto the retina. While cataracts begin as a manageable condition, they can worsen over time and cause vision loss. Cataracts are extremely common and can be removed with cataract surgery. If you live in the greater Los Angeles area and suffer from one of these common eye conditions, it may be time to consider treatment options to help regain your vision and reduce dependence on visual aids like glasses and contact lenses. For more information regarding long-term solutions for your vision problems, request a consultation with Dr. Rex Hamilton at the Santa Monica Eye Medical Group today!